What does Fitbit need to succeed? 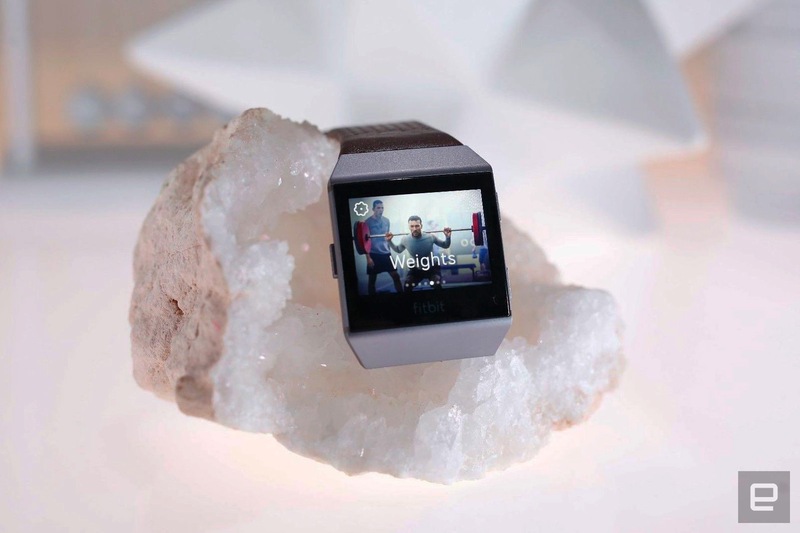 The company's latest earnings results will offer a view of wearables as an industry. Fitbit is the current king of wearables, but for how much longer? The company has recorded four successive quarters of losses since the tail end of 2016, and that's a problem. Fitbit will publish its latest earnings results later today, and those numbers won't just tell us how the company is faring, but also how the wearables industry is doing as a whole. Since 2007, Fitbit has sold more than 70 million devices, from its early, belt-worn pedometers to the wrist-worn activity trackers that made its name. It's a brand that is synonymous with the wearables market, despite also selling headphones and smart scales. But the numbers suggest that the huge sales successes of 2015 and 2016 are not going to be repeated. "The Apple Watch has undoubtedly put pressure on Fitbit," explained George Jijiashvili, CCS Insight's wearables industry analyst. Unfortunately, Fitbit famously struggled to build a full-featured smartwatch, with the Ionic making its debut in late 2017. Engadget's Cherlynn Low said that the device's "smartwatch-like features are either limited in functionality or require tedious, time-consuming setup," though she did praise the watch's "comprehensive tools" and "long-lasting battery life." The Ionic's long gestation enabled others to steal Fitbit's lead at the high end, with Apple being a clear beneficiary. Sales of the Apple Watch are believed to have surpassed those of the entire Swiss watch industry for the 2017 holiday season. CCS' latest report claims that "Apple has become the market leader," while Canalys believes that the Apple Watch "accounts for 51.6 percent of all smartwatches ever shipped." Fitbit can console itself knowing that it remains a big deal in the fitness market, but that position is under threat. 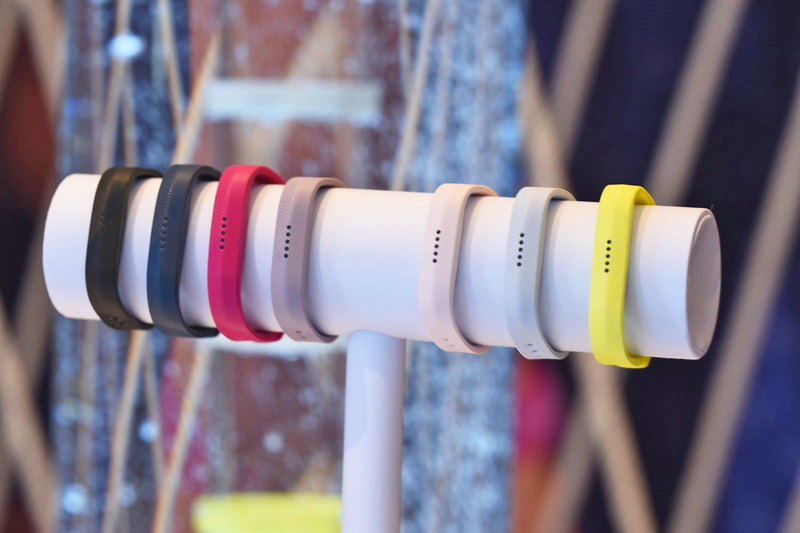 CCS believes that just two companies, Fitbit and Huami, account for 80 percent of the global activity tracker business. But Huami, the Chinese company that designed the Xiaomi MiBand, has now edged ahead in the market, thanks to its "enormous home market advantage in China." But even that battle may not be worth fighting for long, since the report believes that the tracker industry has shrunk by 18 percent. IDC analyst Francisco Jeronimo agrees, saying that the "growth is now all in smartwatches" rather than simpler, cheaper fitness trackers. Which is a shame, because Fitbit was arguably the best hope for a compelling alternative to Apple becoming a de facto smartwatch monopoly. Those who would suggest Google as a worthy opponent forget that the company has paddled around in circles. It doesn't publish figures on how many Android Wear smartwatches have been sold, but -- judging by downloads of the Android Wear app -- it only broke the 10 million sales threshold over the holidays. There is a hope that Fitbit's Ionic will help satisfy demand from a legion of consumers who have been holding out for a Fitbit-branded smartwatch. That may not be justified. During the 2017 holidays, investment bank Morgan Stanley found that boxes of the watch were piled up at retailers. When Fitbit publishes its figures, the most important number will be the volume of devices that it sold across 2017. "Fitbit shipped 21 and 23 million units in 2015 and 2016," says Jijiashvili, but he expects the 2017 total to be 14 million trackers and just one million smartwatches. IDC's Jeronimo is more optimistic about Fitbit's sales, believing that the Ionic is likely to be "one of the 10 best-selling wearable devices of 2017." He says that's going to be a big achievement, especially since the watch only launched in October. Separate from the volume of devices that Fitbit has sold (or shipped) will be the amount of money it's been able to bring through the door. The company reported revenues of $574 million in the last three months of 2016, and it needs to do significantly better to avoid more red ink on its spreadsheets. Fitbit does, at least, appear to understand that its dominance in the consumer wearables market is under threat, and that it can't beat Apple at hardware alone. This explains its hard turn into the healthcare market, where its relatively affordable trackers can undercut more expensive medical devices. The company purchased Twine Health, a startup that created a platform for managing chronic conditions like diabetes and hypertension. It also invested cash in Sano, a company that is building a very small blood glucose monitor for continuously monitoring diabetic blood sugar. "It's a risky strategy," says Jijiashvili, since the healthcare market is so fraught with necessary regulations to protect patients. Then again, the analyst believes that "it is a necessary move," since the consumer wearables "space continues to shrink." Jeronimo is, again, more optimistic, saying that a move toward the healthcare business is a "good way forward." He feels that a Fitbit is a better alternative than a bulky, medical-grade tracker for patients with heart conditions or those who need to lose weight. The crucial element, however, is to win the trust of the medical community and also to ensure that it can survive making the transition away from being a purely consumer-focused brand. Jeronimo also believes that Fitbit needs to make more of the data it collects from users, so that its devices can warn you that something is going wrong. But even here, the analyst admits that Apple also has its sights on doing this, and its flagship product has "far more functionality." In many ways, Fitbit's struggles mirror those of GoPro, another brand that has found sustained success hard to come by. Both quickly rose to prominence by essentially defining a relatively niche category -- fitness trackers and action cameras -- that went mainstream at the right time. And both have suffered from the issues of serving that niche too well, and also being undercut by their competitors. A $149.95 Fitbit Alta HR has to compete with Xiaomi's MiBand 2, which does almost everything the pricier unit does for less than $40. Jijiashvili feels that Fitbit has to be hoping that "its foray into adjacent products is more successful than GoPro's efforts with drones." Not everyone believes that the company is doomed. Fitbit investor and writer George Kesarios is firmly behind the company. Last November, he wrote an article in finance journal Seeking Alpha that said he believes "that this company has turned a page, and things will be different from now on." Kesarios' belief is based on the increase in Fitbit's revenue, even though that increase is not enough to cover its losses. He adds that he believes that the Ionic will "be the product that will sell year after year, like Apple's iPhone." But his opinion is a minority amid the tide of folks who are increasingly pessimistic about Fitbit's long-term health. If the wearables industry -- as we understand it today -- is to succeed and grow, then it needs Fitbit to remain as a viable wearable alternative to Apple. But if Fitbit can't turn a profit during the launch of its first smartwatch, during a holiday season, no less, then it's hard to imagine a future.